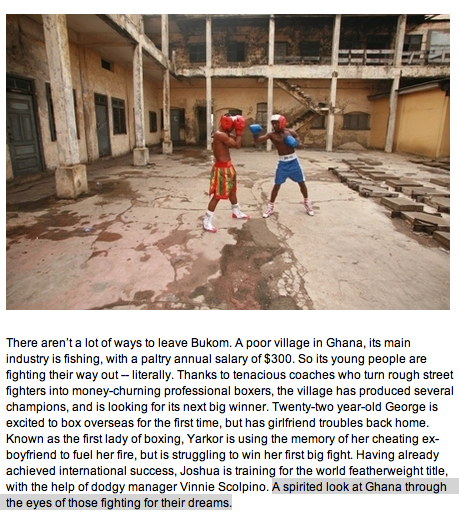 British-Ghanaian documentary filmmaker George B. Amponsah delves into the world of Bukom and the cult of boxing in Ghana. "The Fighting Spirit" premiered at the Sheffield Documentary Festival, the UK's largest doc fest. The publicity extract, below, appears courtesy of the SheffDocFest website.